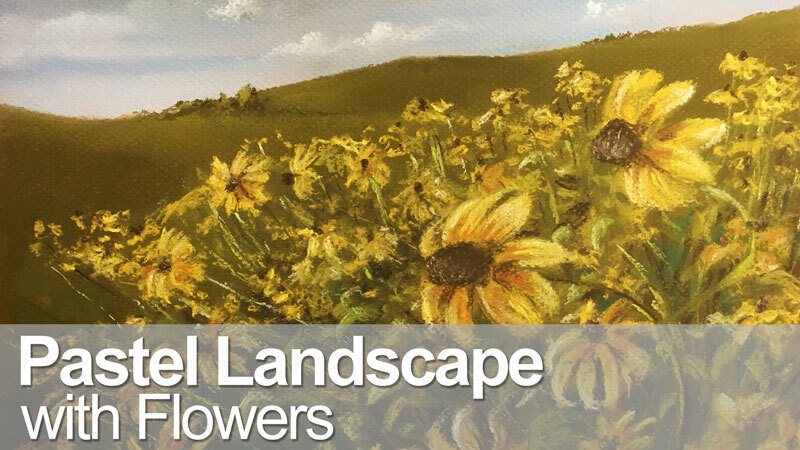 A three-part series of lessons on drawing a landscape with soft pastels. Learn how to layer pastel applications to create the illusion of space and depth. This series explores a looser, more painterly approach to using pastels. Because I am diabetic and test 4 or 5 times a day, the ends of my fingers have become very rough. Consequently when I blend, I automatically also get texture…neat heh but not recommended as a method. Maybe that’s why I like pastels so much.